The CoreLogic APIs allow you to harness the power of CoreLogic's market-leading data and analytics in real-time to power your website, apps and software. The CoreLogic APIs allow you to realise your business strategy by empowering you with the data and insights to drive informed decision-making via your own websites, apps and software, through your platforms and systems. Designed for customers with technical expertise and capabilities, the CoreLogic APIs are RESTful web services that allow you to integrate directly with CoreLogic. Insightful property reports ready to go in a PDF format, with the ability to customise and style to suit your end-user's requirements and your branding. Present configurable charts which can be styled to suit your end user needs and branding. 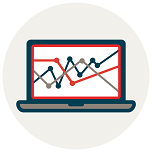 Visually display CoreLogic's Market Trends analytics including sale, listing, rental, valuation and property data. Display sales volumes, median prices and changes, discounting and hold periods. Display listing volumes and changes, and auction rates. Display median values and changes. Display a range of population and housing statistical breakdowns as provided by the latest census conducted by Australian Bureau of Statistics (ABS). Be notified when properties of interest are first listed or sold. Manage the details of the watchlists and the associated properties. Fetch the alerts to trigger downstream workflows. Providing insurance companies, home owners, home buyers and financial institutions the ability to quickly and easily calculate the cost to rebuild a house. Access the full sales and rental advertisement history for a property. Obtain recent for sale or for rent advertisement descriptions or detail for a single advertisement. Request CoreLogic to verify property ownership for a single individual and property via the API. Search for properties that are considered comparable to the target property. Find comparable properties that have recently sold, are on the market for sale, or on the market for rent. Save time using our default comparable logic, or use customised logic to suit your needs (fees apply). Obtain summary statistics and detailed property information based on a target property or location - including comparable category rating, sales details and distance from target property. 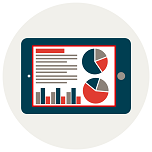 Generate customisable PDF reports to suit your end user's needs. Generate customisable AVM Reports for property appraisal. Gain insight for a property and the state of its local market. Customise themes, branding, charts, layout and content, including the ability to turn on and off sections of the reports. Request CoreLogic to update data and digital assets for properties and retrieve the updated information back via the API. Request an update for a property's bedroom, bathroom, car space, land area, property type or address information. Provide updated property images or other digital assets to CoreLogic for a property. Easily query the status of an update request to see if it has been accepted, rejected or still pending. Get latest and historical auction clearance rates and property details. Find the closest schools to a property, locate all schools in a suburb or postcode and discover what school catchment a property falls in. Access data, analytics and photos specific to a particular property. Access detailed data such as property type, attributes, ownership details, timeline of property events, sales and rental listing history, pros and cons, hazard risk and more. Display property images including a full history of photos, available in 3 different sizes. Ensure optimal performance and responsiveness by specifying which information should be returned. Request CoreLogic Disclaimers and Copyright notices. Access CoreLogic's Market Trends analytics and offer insight on market characteristics and health by area. Display metric data in tables or overlay with your own data to create a meaningful chart. Integrate data provided from the Charts for a fully customised integration approach. CoreLogic APIs via our OAuth 2.0 Access Token. Find properties fitting your criteria by searching and filtering on a range of attributes. Pass a geo coordinate (latitude and longitude) to return the properties that fall on that point. Find suggestions and associated IDs for a street address, street name, locality (suburb) and/or postcode. Search for records of interest, such as specific properties, streets, localities (suburbs) and more. Match addresses to CoreLogic properties for use in the API. 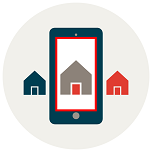 Find properties within a location such as a street, suburb, or postcode. Find properties in the proximity of a geographical point. Estimate the value of a property using CoreLogic's market-leading valuation model. Use either the live CoreLogic AVM, Rismark AVM, or FusionVal AVM. Estimate the expected rent for residential property using the CoreLogic Rental AVM. Include a valuation estimate, value range, confidence score or forecast standard deviation (FSD), along with a list of comparable properties. Using CoreLogic’s market leading data and analytics will ensure that the information you are delivering to your business and your customers is relevant, timely and of the highest quality. Our data assets span more than 40 years, we collate over 600 sources of data and have thousands of contributors, meaning that by using the CoreLogic APIs you have access to the most up-to-date and broad range of data and analytics available. Whether you are integrating to the CoreLogic APIs to add summary charts and statistics to your existing website that show sales for your local area, creating a new app that includes data-driven decisions and processing for your customers, or pulling information into your systems so your people can seamlessly have access to the latest and best property-related information as they do their jobs, integrating to CoreLogic via our CoreLogic APIs means that you can capitalise on your existing systems and processes. The CoreLogic APIs are used by a wide range of users who are interested in property-driven data and insights. Our customers include real estate franchisors, utility providers, government departments, banking and finance professionals, and loan mortgage insurance professionals. Can't wait to get started? Sign up now to start playing with the CoreLogic APIs, including full access to all of the services and comprehensive interactive documentation. With over 20,000 customers and 150,000 end users, CoreLogic is the leading provider of property data, analytics and related services to consumers, investors, real estate, mortgage, finance, banking, building services, insurance, developers, wealth management and government. CoreLogic delivers value to clients through unique data, analytics, workflow technology, advisory and geo spatial services. Clients rely on CoreLogic to help identify and manage growth opportunities, improve performance and mitigate risk. CoreLogic employs over 650 people across Australia and in New Zealand. For more information call 1300 734 318 or visit www.corelogic.com.au.